How Do I Get Hot Pepper Acid Off My Hands? The heat and burn of chili peppers can make salsa, curry, and many other dishes delicious. 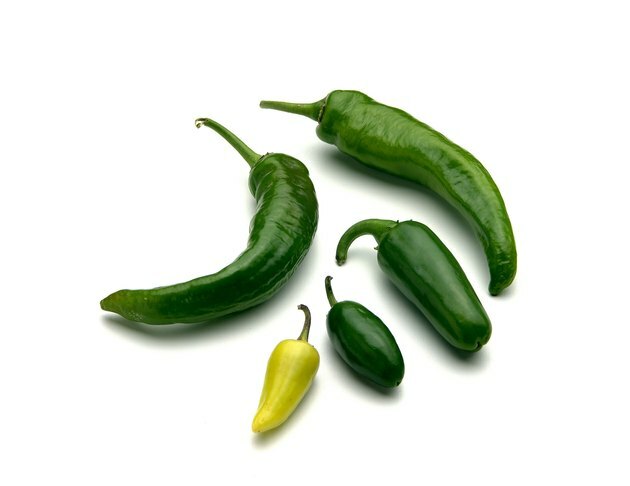 Unfortunately, the burning heat of chilies is much less appealing on your hands or face. Wearing gloves can keep you from getting the volatile chili oil on your hands, but if you've forgotten your gloves, clean up is essential. Multiple techniques lead to oil removal, and you may need to try all of them to clean your hands. Wash your hands immediately, using a grease-cutting dish soap and very hot water. Scrub under your fingernails with a nail brush. Dish soaps are better at cutting grease than hand soaps. Rinse your hands well and place the nail brush in the dishwasher to avoid unwelcome future oil exposures. Pour rubbing alcohol or a high-proof liquor, like vodka, over your hands if discomfort or residue remains. Alcohol can help to dissolve the oils. Dilute the chili oil residue on your skin by rubbing vegetable or olive oil into your hands. Wait one to two minutes and then wash with dish soap. Soak your burning hands in high fat milk or yogurt products. This can reduce the discomfort and may help to remove the remaining oils. Even if you're not feeling the burn on your hands, be careful to remove all oils to avoid getting the residue in your eyes or on your face. Avoid removing contact lenses, rubbing your eyes, or using the restroom until you're quite sure your hands are clean. If you do get chili oil in your eyes, use only water or saline solution to flush your eyes. Any difficulty breathing along with chili exposure requires a call to 911. Your local poison control center can offer assistance with less severe chili oil exposures. What Causes Skin to Peel on Your Palms? How Do I Remove the Smell of Bleach Off My Hands?